Hey, you guys. Sorry, I know I’m late again. But I’m a HUGE procrastinator. Yeah, blame it on that. Or on my ridiculous spazzy iPhone that just does NOT want to send pictures to my computer. ENTREE: Nails, nails, and more nails. Well…this is awkward. I have a MASSIVE post for you guys today, so I’m just going to put one song on here today! Soo…just a few songs of the week. (Obviously, they’re all My Chemical Romance.) I have one song for every week I haven’t posted…Here we go! Nails, nails, and more nails. Today, there are going to be a NOTW, a nail polish experiment-swatch-thing that I did at Ju’s house out of boredom, and, yet, another haul. DISCLAIMER: Once again, I’m not bragging. I’m adding a poll to see which polish you guys would like to see swatched next. Some are from my last post’s haul, which you can see here. In the bottle, it flashed LITERALLY ALL the colors of the rainbow, but on, you could really only see shades yellow, orange, red, and green, which was disappointing. I’m going to give it a go again and put it over black, another time, to see if the purple and blue will shine through, then. 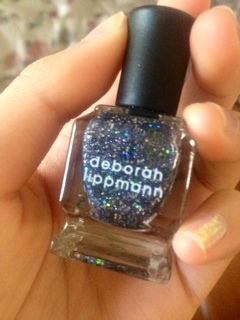 Since I wore it without base coat (no top coat either), it was a pain to remove, so I would definitely go that extra step. It wore really well, and it stayed on with barely any chips for over a week. It did do this really weird thing where the corners of the polish, around my cuticle would lift up, though, so top coat would probably be a good idea. Picture time! All these pictures are from about a week after application. 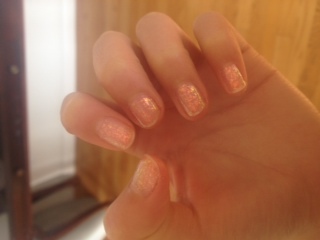 The Massive Nail Polish Experiment-Swatcharoo-Thing. …so we swatched a ton of them. Here’s the whole lineup. 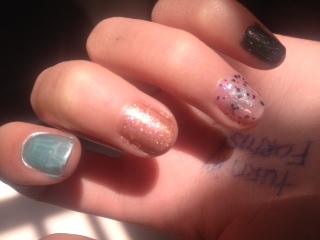 From left to right- Sinful Colors: Black Crackle, OPI: Pros and Bronze, Sinful Colors: Let Me Go, Etude: Nail Roll Roll GR601, Estee Lauder: Frozen Fantasy, Wet ‘n’ Wild: Party of 5 Glitters, Color Club: Holiday Splendor, and Sally Hansen: Crackle Overcoat Snow Blast. 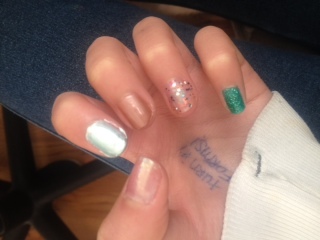 In the above picture, we have, from left to right- 1 coat of Sinful Colors: Let Me Go, 4 coats of Etude: Nail Roll Roll GR601, 2 coats of Estee Lauder: Frozen Fantasy, 3 coats of Wet ‘n’ Wild: Party of 5 Glitters, and 1 coat of Color Club: Holiday Splendor. 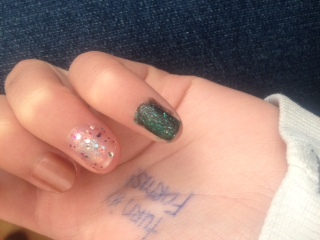 Frozen Fantasy with OPI Pros and Bronze over it on my middle finger, and Holiday Splendor with Black Crackle over it on my pinky. 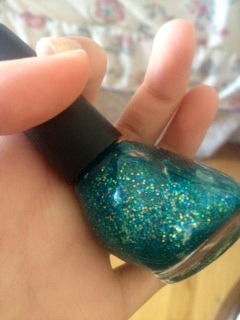 Another rant… Wet ‘n’ Wild’s Party of 5 Glitters. 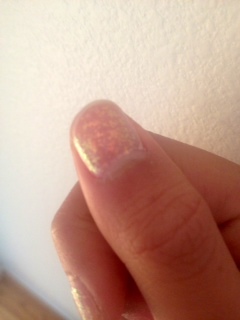 On the picture above the one above (so 2 up) you can see how sparse it is and how it’s pooling at the edge of my nail. That’s 3 coats! And every coat I added, it dissolved the one below, so it just turned liquid again. It wouldn’t even be good for layering. DO NOT BUY THIS! Oh, guess what? 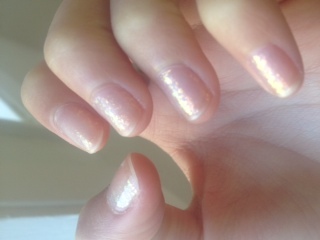 I have ANOTHER rant- Etude’s Nail Roll Roll GR601. It took 4 coats to get it opaque, and you could still see brush strokes. 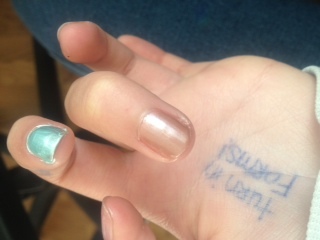 It was also an awful, frosty blue color (eughh.) and it took forever to dry. I think it’s a pretty rare brand, so you probably won’t ever come across this, but if you do… DON’T BUY IT. 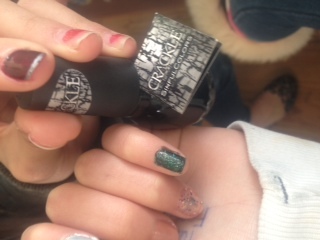 Now, for Sally Hansen’s Crackle Overcoat Snow Blast. 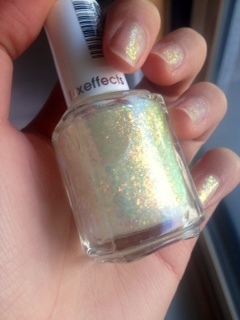 It crackled pretty well for a drugstore polish, and it’s relatively inexpensive, so this I would recommend. 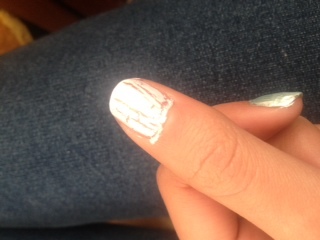 I’m not a fan of white nail polish, though, it can sometimes look like white-out. 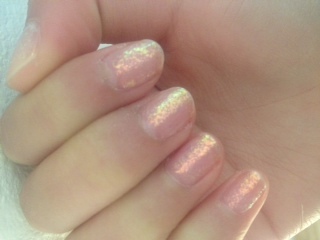 Sinful Color’s Let Me Go was also really pretty, though it’s super sheer. 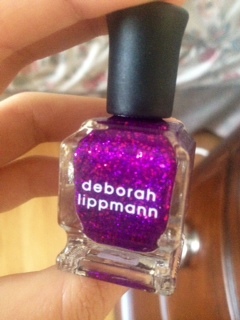 It’s a duo-chrome, shimmery purple-to-green, and I like it a lot. It’s definitely for layering, though. As you guys know, it was my birthday recently, and I got presents! 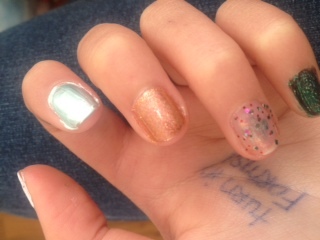 NAIL POLISH, WAHOO! 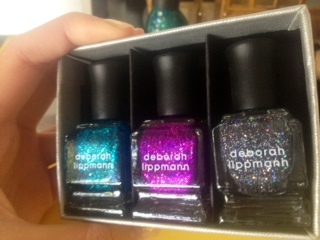 🙂 My good friend R*, who also got me a ton of Essie polishes (you can see the ones she got me here) got me…A DEBORAH LIPPMAN NAIL POLISH SET! 🙂 It’s a set of 3 mini glitters (sorry, I forgot the names), and they’re all super pretty! 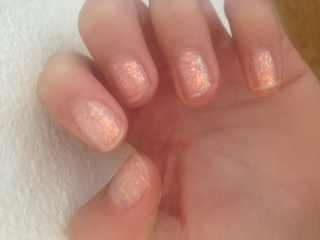 (Though I’m not in love with the pink…) Here are some pictures! 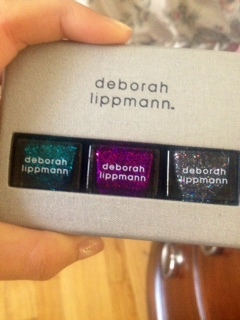 The packaging was super cute and silver, and there were little dividers to keep the polishes apart. 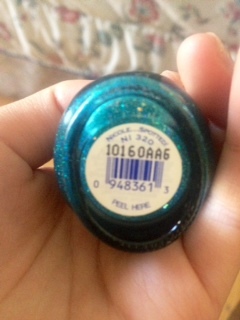 My other friend, my BFFL J* (not Ju, but Ju did get me an epic present, too), got me Nicole by OPI’s Nicole…Spotted! which I’ve been wanting literally FOREVER (it was even on my wish list on here, click here to see), and it’s gorgeous! It’s a teal jelly with red-orange-yellow-lime and teal-blue-indigo-purple, color-changing glitter. 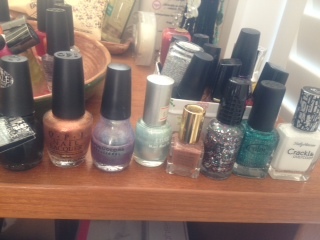 Now for the poll…which nail polish would you like seen swatched next? 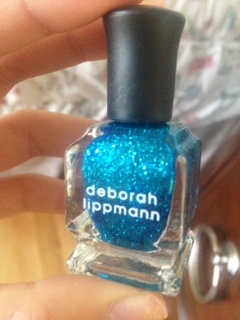 Click here to see some of the polishes- they were in the haul on my last post. Well…I was going to talk about my life, because, you know, I’m a massive narcissist, and that’s what I do. But, since this post is already MASSIVELY LONG, I figured I’d just do that next time and stick with talking about the contest and last post’s birthday wishes. 3,500 views on P&P– 4,176, OMG, that’s, like, 600 extra! 😀 350 comments– 373, actually. Our readers are such over-achievers, always going beyond expectations. 😉 40 blog followers– We got 42! YAY! 🙂 150 views on my Alicia blog– 226, thanks! 25 comments on my Alicia blog– Ohhh, 31! Comments make me happy! 😀 10 blog followers- Well, we didn’t reach that, but 9 is plenty! Okay, so this is KIND OF REALLY IMPORTANT if you’re in the contest! In case you didn’t understand, the challenge is ALWAYS due the next week! So, that means that this challenge is due March 10, 2012! If you need extra time, email us, and we will extend it an extra week (March 17th). The last challenge was to make us a list of 5 videos or YouTubers that you thought Ju and I would enjoy. Ari and Jill are eliminated, sorry, guys! Ari didn’t send a playlist, and Jill was wayyyy late. To the remaining contestants: GOOD LUCK! You guys now have a one out of 6 chance of winning! This week’s challenge is…TO MAKE A BLOG MAKEOVER FOR US, PRETTIED & POLISHED! You must make a header and find a matching background. A requirement: the title must either include the words “Prettied and Polished” (& or + symbol may be substituted for “and”), or “P&P”/”P+P”. That’s all for today’s meal, folks! Please comment and/or like if you think it’s worthy!